Chantiers Sociaux Marocains CSM is a registered, non-profit, independent NGO created in 1963, with the main office in Rabat. 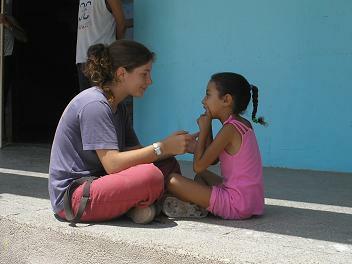 CSM aims to promote youth voluntary work and local development in the communities we work with. 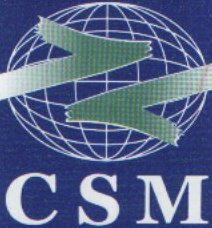 CSM joined the ICYE Federation as associate member in 2001. Voluntary service placements are mainly in education, health and development projects working with children, women and the local community at large. The Kingdom of Morocco is the most westerly of the North African countries known as the Maghreb. It has a population of nearly 32 million and an area of 710.850 km², including the disputed Western Sahara which is mainly under Moroccan administration. In 788, about a century after the Arab conquest of North Africa, successive Moorish dynasties began to rule in Morocco. In the 16th century, the Sa’adi monarchy, repelled foreign invaders and inaugurated a golden age. In 1860 Spain occupied northern Morocco, and in 1912 the French imposed a protectorate over the country. A protracted independence struggle with France ended successfully in 1956.Gradual political reforms in the 1990s culminated in parliamentary elections, the last one held in September 2007. The political capital is Rabat, and the largest city is Casablanca; other large cities includes Fes, Salé, Agadir, Marrakesh, Tangier, Meknes, Oujda and Tetouan. The major resources of the Moroccan economy are agriculture, phosphates, and tourism. Morocco is the world’s third-largest producer of phosphorus and the price fluctuations of phosphates on the international market greatly influence Morocco’s economy. The population is almost entirely Arab-Berber. A large Jewish community lived in Morocco before the creation of Israel, numbering approximately 265,000 in 1948. Morocco has a rich culture and civilization, which remained mainly indigenous throughout times and the Moroccan cuisine has long been considered as one of the most diversified cuisines in the world.